Welcome to the Reformation500 Website! Reformation500 is an online resource for the commemoration of the Quincentenary of the Reformation in 2017 managed by Concordia Seminary, St. Louis. Here you will find information on important people and events of the Reformation, news and upcoming events, blog posts by a variety of authors offering different perspectives on the Reformation and its significance. Timeline: The website’s most prominent feature is its interactive timeline, intended as an entree into the site’s information resources on the Reformation. Important people and events appear dynamically, vividly portraying the interweaving of the ecclesiastical, the political, the theological, and the personal. Scrolling through the timeline is possible through click and drag or scroll gestures/wheel. Dragging the bar at the bottom of the timeline enables a quicker navigation. At the right of the timeline are colored filters that allow the user to narrow events to European history, Reformation history, and Martin Luther’s own life. Clicking on timeline events will open a window that will invite further reading on a separate page. During the next several months, major events will continue to be filled out with further information. A special thanks to Matthew Kobs, Kenneth Kogler, Micah Bauer, and Rick Serina for the wonderful work in developing this timeline. Biographies: The website will also feature a set of brief biographies on the key personalities of the sixteenth centuries. Like the timeline, biographies will be added over the next coming months to be a quick and helpful resource. Blog: The blog will be a place to offer various reflections on the Reformation and its significance. From historical insights to contemporary impact, contributions from different perspectives will enrich our remembrance and sharpen our appreciation for how 500 years ago, a “little monk” fell suddenly into the limelight and helped change the course of Western civilization. News and Events: Hosted by Concordia Seminary, Reformation500 has its own schedule for events leading up to 2017. Most notable is its annual speaker series aimed at the St. Louis academic and ecclesial community. As 2017 approaches, more opportunities to learn, interact, and celebrate will appear. We will also begin to highlight other notable events around the country, linking people to the many activities and resources that are being organized around the 2017 anniversary. The third Reformation500 annual speaker series will feature Steven Ozment, McLean Professor of Ancient and Modern History at Harvard University. This year the Reformation500 event will be held on Friday afternoon, April 25 at 4:00 pm. We are delighted to have Professor Steven Ozment as our speaker. Early Modern and Reformation historians have benefited from his wide-ranging work in intellectual and social history. This is a fine opportunity for the St. Louis community to hear and dialogue with Prof. Ozment on the ongoing significance of the tumultuous century that changed Christendom forever. As we prepare to celebrate the quincentennial of the Reformation, the Roman Catholic Church has an anniversary of its own: fifty years since the Second Vatican Council (1962–65). The two are not unrelated. “Archbishop Elchinger of Strasbourg gave a speech in St. Peter’s on how much Catholics owe non-Catholics even in matters of faith. One example was biblical scholarship. But then he talked about the central “dogma of justification by faith”-first “defined,” as he put it, when the Jerusalem Council (as is reported in the Book of Acts and in Galatians) exempted Gentile Christians from circumcision and full Torah observance-that had at times been better maintained outside of than within Roman Catholicism. If Catholics were now rediscovering it, he said, this was largely because of the ecclesial communities that had been born in the sixteenth-century Reformation. And at those words, to my surprise, I began to cry. For Lindbeck, as for many other Lutherans of the day, Vatican II reflected a stark departure from customary Lutheran-Roman Catholic relations. Theological and political tensions between the two traditions had intensified, especially in Europe, since the sixteenth century. Both sides lobbed epithets at each other and seldom took the theology of their separated brethren seriously. Yet here Roman Catholic bishops were found citing Luther and Lutheran doctrines. The documents of Vatican II reveals this volte-face. New emphasis was placed on the doctrine of revelation, the study of Scripture, the mystical and invisible qualities of the church, the need to engage in dialogue with other Christians (chiefly through the Lutheran-led ecumenical movement), and the participation of all the faithful in the liturgy. Many of these ideas came directly from the Reformation of the sixteenth century; others came under the influence of contemporary Protestants, in particular Lutherans. How did Roman Catholicism get to this point? The history of Lutheran and Roman Catholic relations hardly anticipated it. The religious wars of the sixteenth and seventeenth centuries resulted in European political settlements that gave secular rulers the right to choose the religion of their region. Tolerance, where it existed, was limited. Theology, both within the ecclesiastical establishments and within the universities, did nothing to mitigate the tensions, but often furthered them. Catholic thinkers came to blame much of secularized Enlightenment thought on the movement Luther started. By the start of the Second Vatican Council in 1962, the cultural plates had shifted. Enlightenment visions of progress and secularism had led to two devastating global wars and the massive cost of life associated with them. The growth of constitutional democracies across Europe would soon unseat the churches from their places as leaders of society and eventually marginalize them altogether. Atheistic philosophies became dominant within the academic halls—replacing even the theistic liberal philosophies and theologies of modern thought—and seeped into popular thought and religious life. All of these dynamics led Lutherans and Catholics to reconsider their relationship to one another and would in turn influence the theological direction of the council. No single example of this new disposition may be more instructive than the Catholic interpretation of Luther. In the four centuries following the Reformation, Luther had been pictured by Catholic historians and theologians as a pariah—literally a seven-headed monster, to use the image adorning a tract by Johann Cochlaeus in the sixteenth century. Just as Protestants continued vilifying the papacy and Catholic doctrine, Catholics produced deprecating portrayals of Luther. Little had changed by the start of the twentieth century. The two most famous Catholic interpreters of Luther at the time, the Dominican Heinrich Denifle and the Jesuit Hartmann Grisar, alternately attributed Luther’s failings to sexual deviance and personal neurosis. This image would not last the century. The chief protagonist was Joseph Lortz, a German Catholic historian of the Reformation, who began to look more closely at Luther’s life and thought in its medieval context. He argued that Luther was caught in a transition from the medieval scholasticism of Aquinas to the late-medieval nominalism of William of Ockham and Gabriel Biel—the latter representing a degradation of Catholicism. Luther did not seek to reject the Catholic Church, according to Lortz, but rather he inherited a Catholicism that was from the start corrupted by the nominalists: Luther fought against a Catholicism he had learned that was not really “Catholic,” but a late-medieval deviation. Others would pick up Lortz’s mantle. Erwin Iserloh considered Luther and his doctrine of justification inherently compatible with medieval mysticism. Peter Manns found in Luther’s second Galatians commentary a definition of justification that was congruent with Roman Catholic thought. 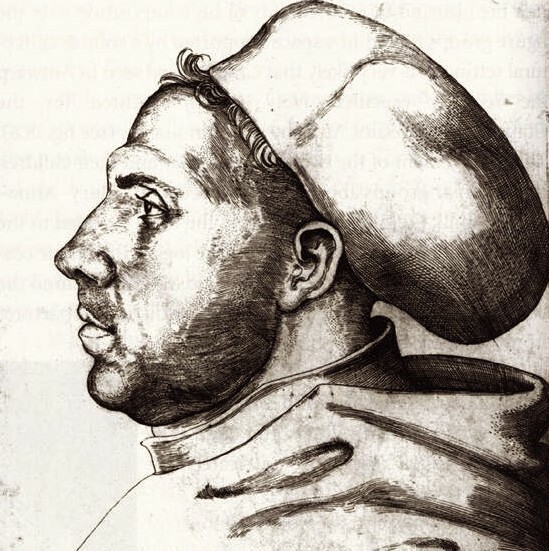 Otto Hermann Pesch compared Luther with Aquinas and came to the conclusion that they were fundamentally in agreement on the doctrine of justification, but approached it from two entirely different vantage points—Luther from the “existential” perspective of the struggling sinner, Aquinas from the “sapiential” perspective of the omniscient God. Others could be added, including Hans Küng, Yves Congar, Louis Bouyer, Daniel Olivier, Jared Wicks, Dennis Janz, to name a few, but it is not necessary to proliferate examples. Without question, the renewed Roman Catholic interest in Luther and improved perception of him led to a healthier interaction with his ideas among the council fathers at Vatican II. The consequences of this Roman Catholic interpretation of Luther were immediate and palpable. 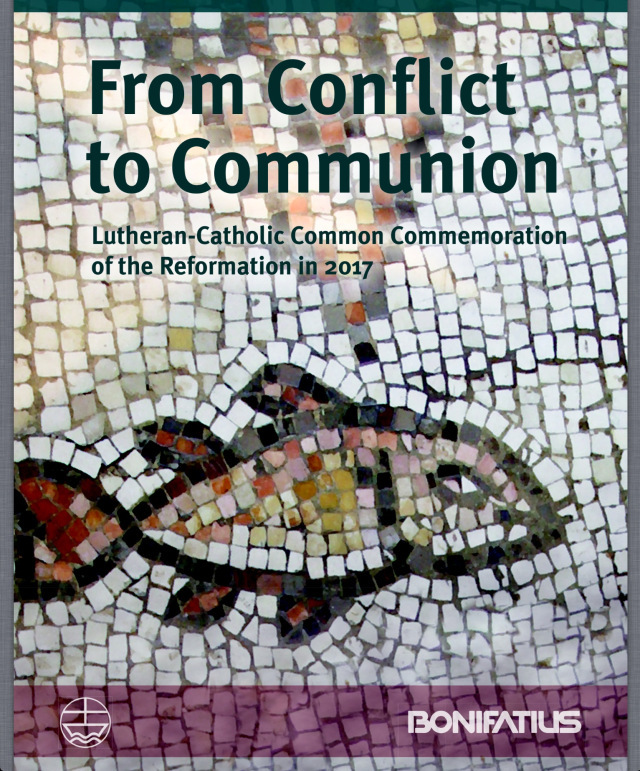 From the 1960s through the 1990s in Germany and the United States, Lutherans and Catholics entered theological dialogue with their estranged brethren. This resulted in numerous documents and volumes addressing various points of disputed doctrine from each perspective and attempts to reconcile the two positions, even attempts to reach agreement on them. The most famous, and controversial, was the 1999 Joint Declaration on the Doctrine of Justification. Though the document has not become widely influential or accepted, and granting also the questionable claims it makes, the simple fact that Lutherans and Catholics could produce such a document or address such a divisive topic speaks to a drastic turnabout in their relationship. That owes much, then as now, to the renewed Roman Catholic appreciation for and study of Martin Luther. It also, however, leaves Lutheran Protestants in something of a quandary: How do we reciprocate that Catholic interest in our theological forebearer? At a conference on Vatican II some years ago, a noted Lutheran ecumenist asked why more Protestants had not become scholars of Vatican II or Aquinas the way many Roman Catholics had become scholars of Luther. The sad truth is that we have not reciprocated their interpretation of Luther. We have scarcely even tried. We have accepted the Catholic interpretation of Luther, agreed with it where we find it agreeable and critiqued it were we do not, but ultimately we have failed to value what the study of Roman Catholicism’s forebearers might offer us. We have not given sufficient attention to the myriad influences shaping Rome that might also be of benefit to our tradition. One area I would suggest (and admitting a bias as a sometimes medievalist myself) is a sympathetic appreciation of medieval Christianity. We still live on outdated, Enlightenment-driven, somewhat Monty Pythonesque pictures of the Middle Ages and we still accept the heightened caricatures of medieval theology articulated by sixteenth-century Protestant theologians who were literally advocating for their lives. 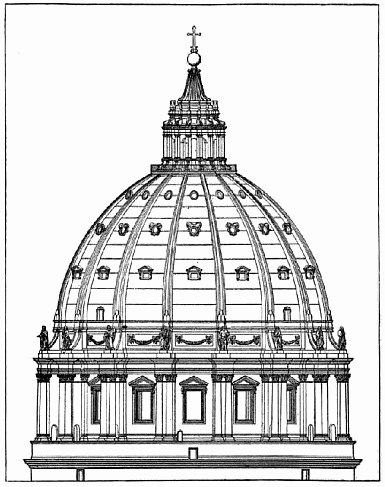 Can we put the time and commitment into understanding the long and complicated development, for instance, of the medieval papacy, beginning with the Gregorian reforms of the eleventh-century church and their cry for libertas ecclesiae (“freedom of the church”) from secular rule? What about the first so-called “Babylonian Captivity of the Church” in the Avignon papacy (1305–77), the various attempts to resolve the Great Western Schism (1378–1417), the reforms of the conciliar movement from Constance (1414–18) through Basel (1431–49), or even the efforts of the much maligned Renaissance papacy at restoring the architecture, art, curia, economic infrastructure, and political significance of Rome (which lasted until Leo V—the last Renaissance pope—on the eve of the Reformation)? Would that not provide us a clearer picture of the papacy and the church government that Luther inherited? Might it give us some sense of the historical difficulties that gave rise to the papacy of Luther’s day? This is but one admittedly self-referential possibility. The larger question, though, remains not how we can reciprocate Roman Catholic interest in Luther, but whether we care to. I dare say the degree to which we are willing may reflect the degree to which we affirm that the catholicity of the una sancta extends beyond our denominational and theological boundaries. The North American Luther Forum will be held at Concordia Seminary, St. Louis on April 25-27, 2014. This forum focuses on the study of Martin Luther and the impact of his life and work, historical and theological. It remains an opportunity for Luther scholars in the United States and Canada to gather to discuss mutual interests and to exchange research results and projects. Attendance at this forum is by invitation only, extended to scholars who are known for their interest and work in Luther studies. The Forum was called into existence by Professors James Kittelson of Luther Seminary, Saint Paul, Minnesota, and Robert Rosin, Concordia Seminary, Saint Louis, and was modeled after the Nordic Luther Forum at the advice of Carl Axel Aurelius of Sweden. The group met first at Luther Seminary in 1999 and then again at Concordia Seminary in 2001. Its third meeting took place in 2006, at Luther Seminary under the sponsorship of that institution with forty-six participants. Since then the forum continues to grow, meeting every three or four years to complement the International Luther Congress. In addition to workgroups that share ongoing research, the forum will feature two plenary speakers: Prof. Timothy Wengert and Prof. Gordon Jensen. Dr. Wengert is well-known for his work in the history of exegesis and Melanchthon studies as well as his many contributions to the study of the Reformation and the Lutheran Confessions. Dr. Jenson is Dean of Studies and William Hordern Professor of Theology Lutheran Theological Seminary Saskatoon. He has numerous presentations and publications on Luther’s theology and Reformation history. His present work is focused on a fresh appraisal and analysis of the Wittenberg Concord of 1536. 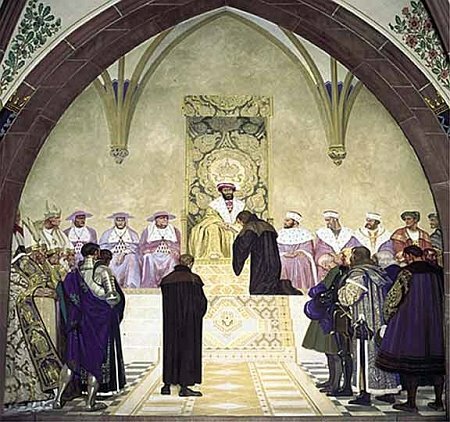 Today marks the anniversary of the Augsburg Confession before Emperor Charles V. On January 21, 1530, Emperor Charles V issued letters from Bologna, inviting the Imperial Diet to meet in Augsburg on April 8 for the purpose of discussing and deciding various important questions. Although the writ of invitation was couched in very peaceful language, it was received with suspicion by some of the Protestants. Landgrave Philip of Hesse hesitated to attend the diet, but the Elector John of Saxony, who received the writ March 11, on March 14 directed Martin Luther, Justus Jonas, Johannes Bugenhagen, and Philipp Melanchthon to meet in Torgau, where he was, and present a summary of the Lutheran faith to be laid before the Holy Roman Emperor at the diet. Concordia Seminary will again host its annual “Reformation 500” speaker series on April 25, 2013 from 4:00 p.m.-5:15 p.m. in Werner Auditorium, 801 Seminary Place, Clayton, Mo. This event is co-sponsored by Concordia Seminary, the Center for Reformation Research, and the Office of Ecumenical and Inter-religious Affairs of the Archdiocese of St. Louis. Fr. 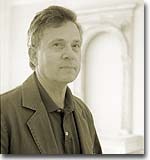 Wicks served on the world-level Catholic-Lutheran dialogue on “Church and Justification” and “The Apostolicity of the Church.” He also joined the U.S. Catholic-Lutheran dialogue that produced the consensus document, “The Hope of Eternal Life,” completed in 2011. 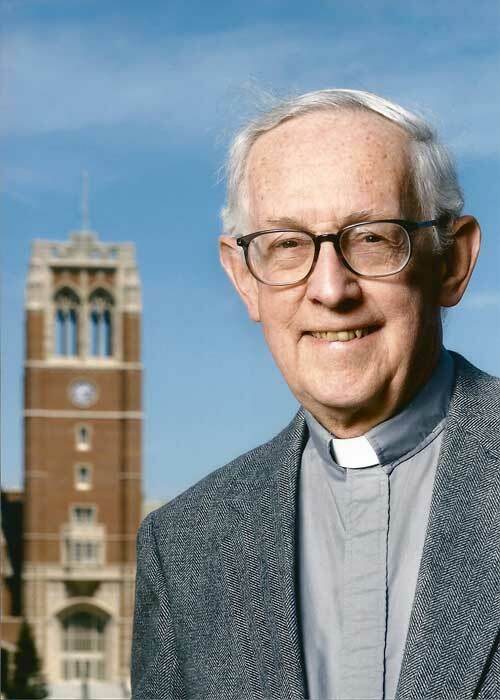 Ordained in 1962 as a member of the Chicago-Detroit Province of the Jesuit order, he has taught at the Jesuit School of Theology in Chicago (1967-1979), the Gregorian University in Rome (1979-2004), and has served as scholar in residence at John Carroll University in Cleveland (2004-2011) and at the Pontifical College Josephinum in Columbus, Ohio (2011 to present). His many publications include Cajetan und die Anfänge der Reformation (Aschendorff: 1983); Luther’s Reform: Studies on Conversion and the Church (Verlag Philip von Zabern: 1992); and Doing Theology (Paulist Press: 2009). Prof. Dr. Oswald Bayer will be speaking at Concordia Seminary this spring, 2012.